Police Scotland is appealing for a woman to come forward after she came to the aid of distressed woman on New Year’s Day. Police have revealed the identity of the man who died in an alleged murder in Dundee city centre in New Year's Day. Police have made another two arrests in connection with the alleged murder in Dundee city centre on New Year's Day. A 19-year-old man has been charged in connection with the alleged murder of a man in Dundee on New Year's Day. Hundreds of brave souls took the plunge into freezing waters as part of New Year’s Day dooks. A 19-year-old has been arrested in connection with the death of a man following a disturbance in the Nethergate area of Dundee during the early hours of New Year's Day. 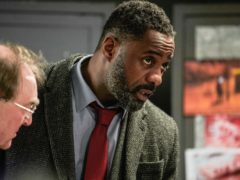 Luther fans have complained the dark lighting in the show made it impossible to see what was going on. Diversions remain in place on the Dundee city centre street where a man died after an incident in the early hours of New Year's Day. 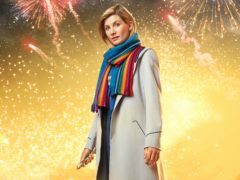 Doctor Who showrunner Chris Chibnall has promised the New Year’s Day special will provide “big emotion for all the family”. A mystery man could hold the key to the investigation into the death of John Ogston, according to a senior police officer. A Dundee shopkeeper has told how he feared for his life during a New Year’s Day attack. Of the 280 participants, swimmers travelled from as far away as Australia, Canada and Israel to take part in the Broughty Ferry New Year’s Day Dook. The mother of Shane MacGowan, frontman of The Pogues, has been killed in a car crash in Ireland, police have said.